Need a base for your Wire Grid? Purchase this Wire Grid Wall Display Base to get the job done. The sleek black finish will help you to sell your products in style, matching nearly any fixture within your store. 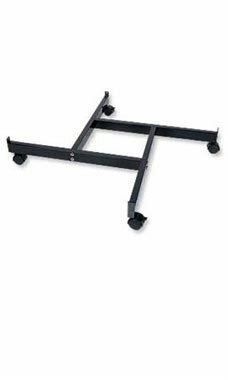 This base is sold with casters to make moving your wire grid display setting convenient and efficient. The overall size of the unit is 36'' x 36''. All of our gridwall hardware and accessories are in stock and available for immediate shipment.